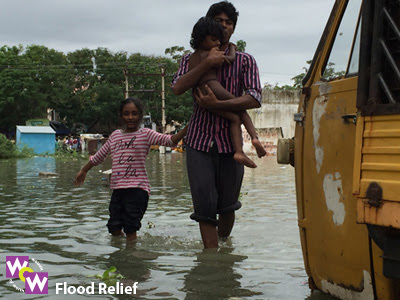 Thank you for responding to WOW’s email appeal to support people affected by floods in Chennai. WOW was able to respond to the immediate needs of people in Chennai and Cuddalore, by donating blankets, clean drinking water, donating to flood relief and rescue projects in the city. Through your generous contribution we were able to touch the lives of about 500 people and respond to their urgent needs. 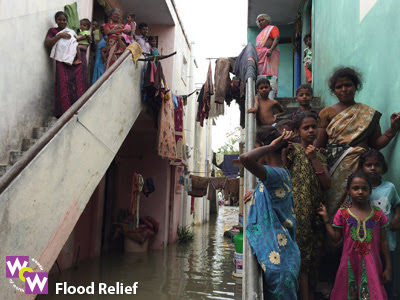 Since our last request, Chennai experienced more devastation through continual torrents of rain for more than a week. 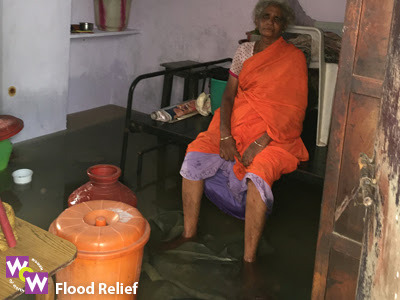 The situation in Chennai is unprecedented and people in the city were completely horrified by a disaster of this proportion. 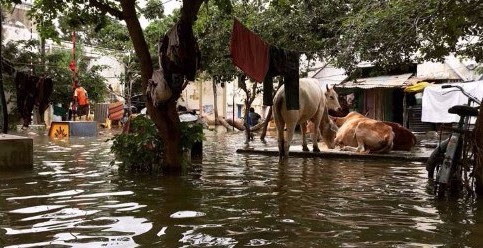 Chennai was totally unprepared to deal with rain of this magnitude which has left many low-income families without food, possessions, or any place to call home. We are also rallying a group of specialized doctors to meet the rising need for medical attention at the moment. Flooding and stagnation has left the city’s residents at great risk of contracting air-borne and water-borne diseases. Our priority is to look out for the health of women and children. We wish to inform those of you who generously responded to our earlier appeal that we will be directing all the relief funds towards these efforts. 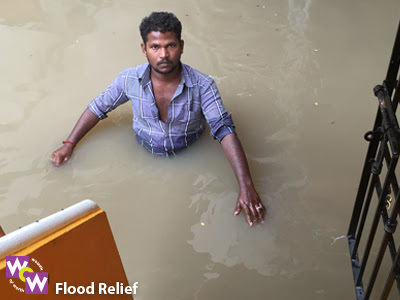 We will soon be sending you a detailed report on how your money was spent as WOW team is busy responding to the on-going situation in Chennai. 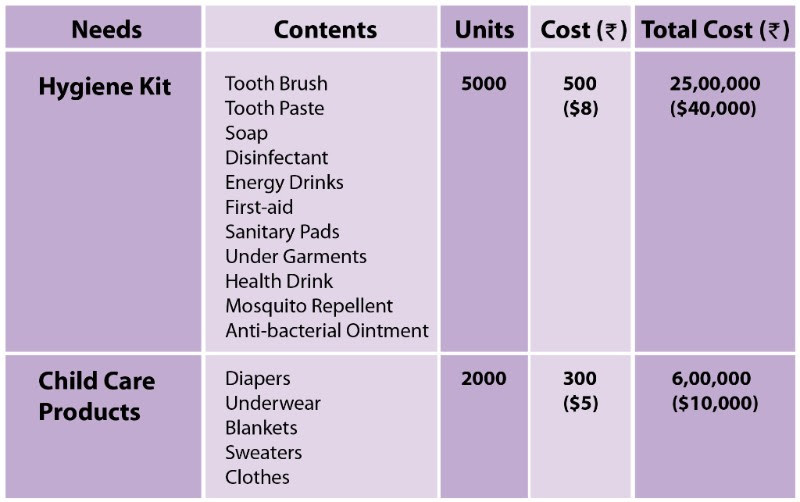 WOW is looking for individual and corporate partnerships for its mission to provide hygiene and health needs for women and children of low-income groups. 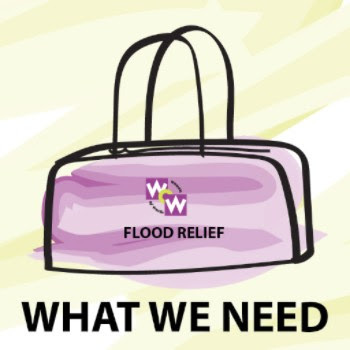 Please be assured that all the donations received in kind or cash will be used appropriately. The donors will receive due acknowledgement along with a report on how the donation was used.